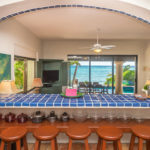 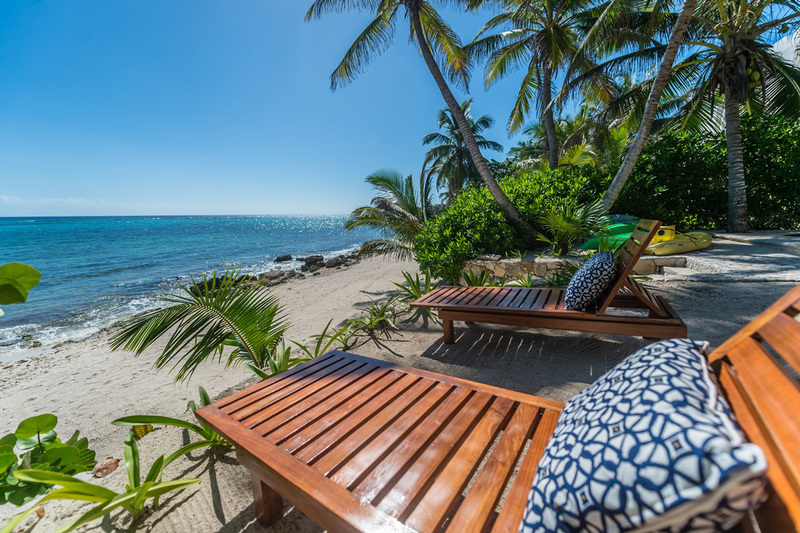 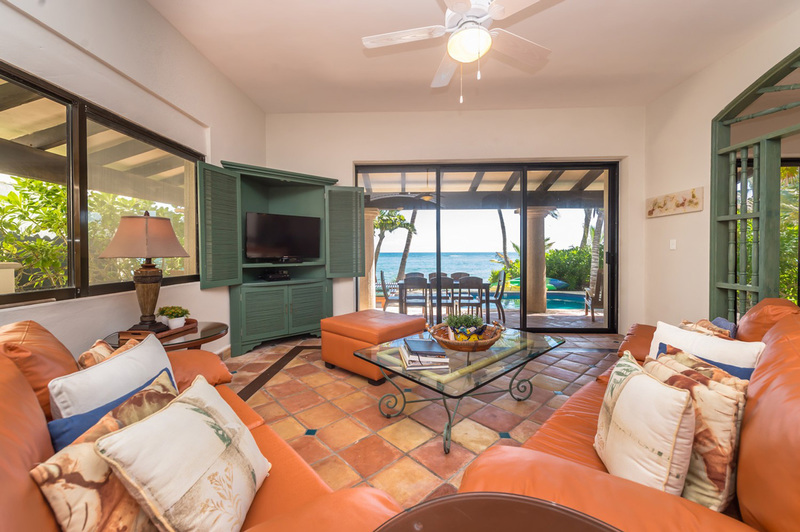 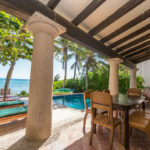 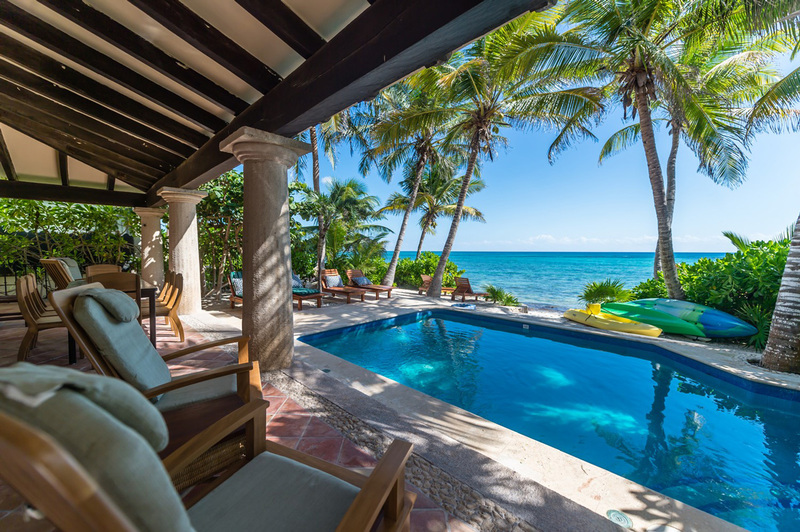 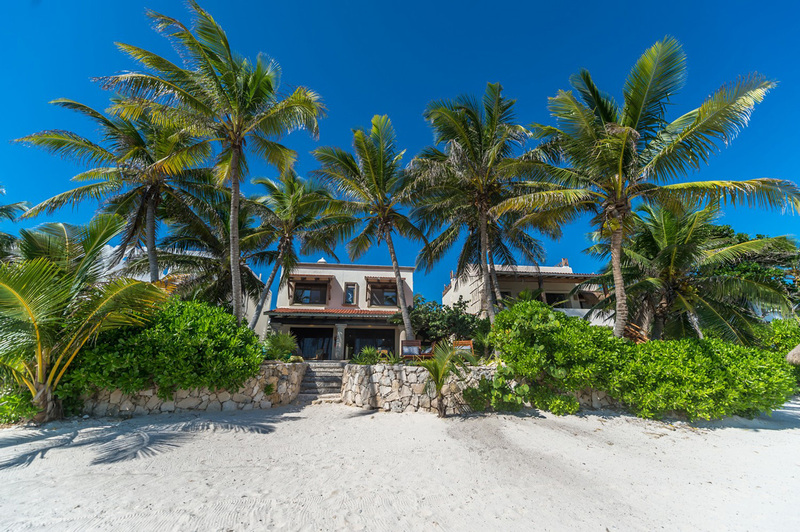 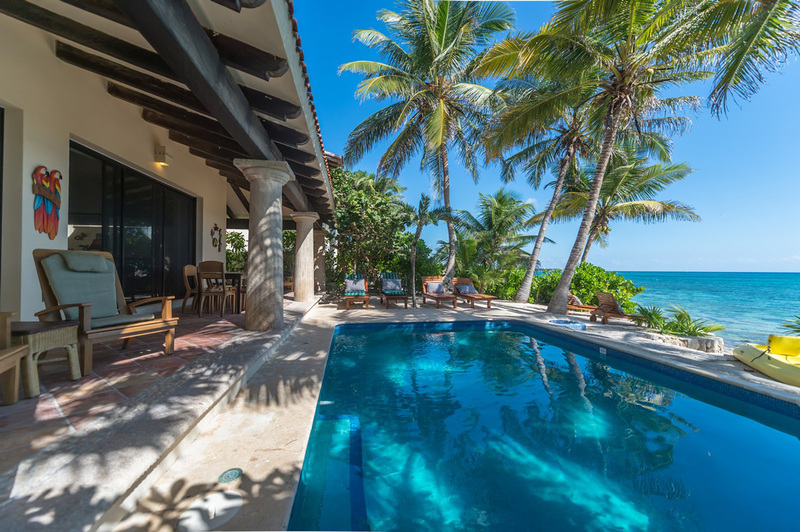 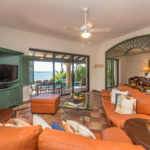 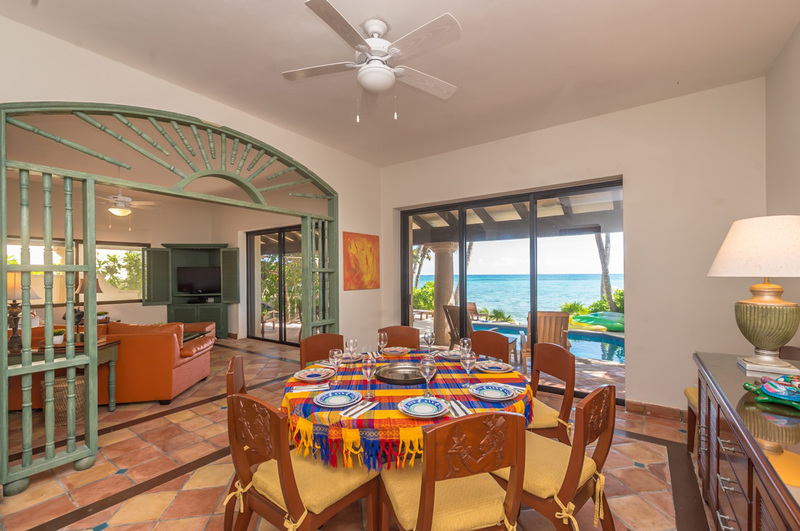 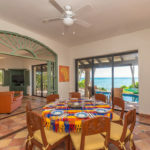 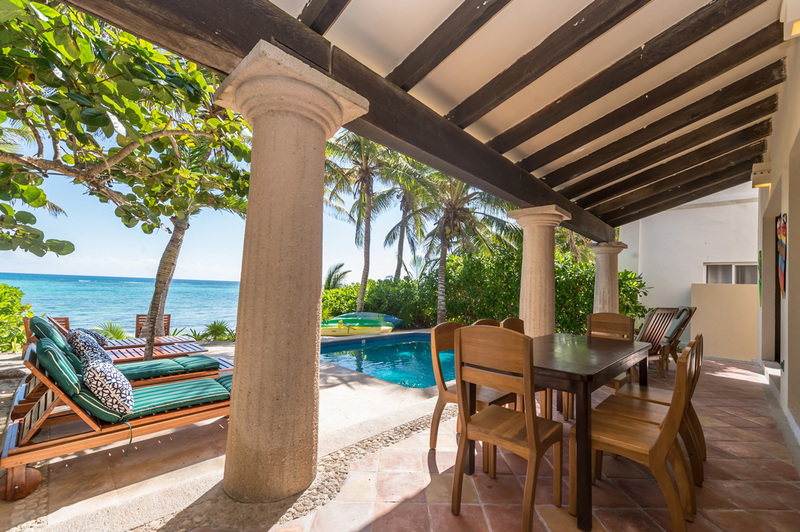 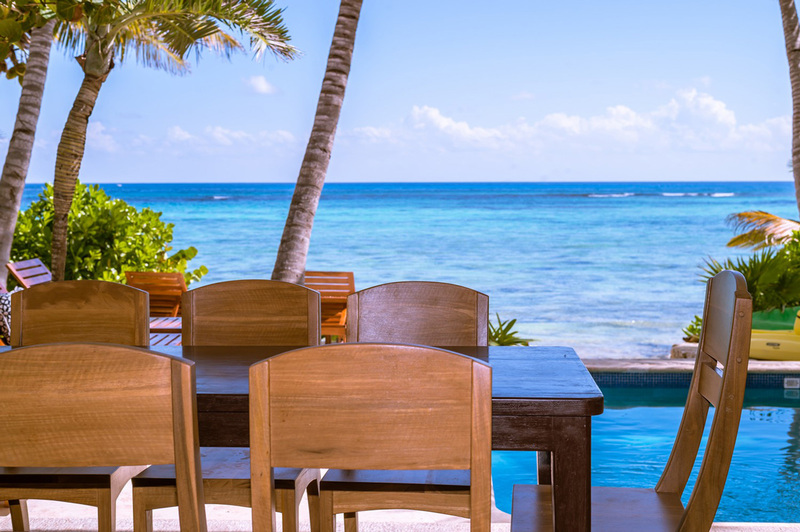 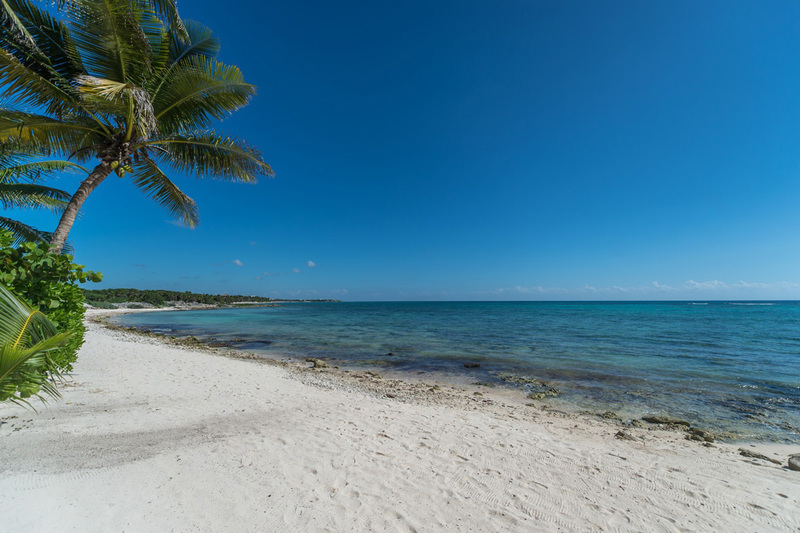 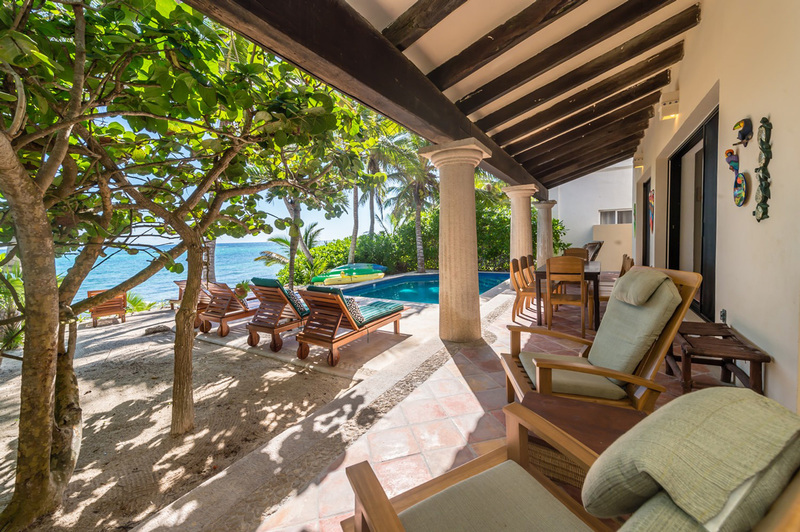 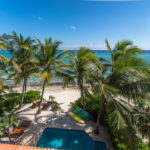 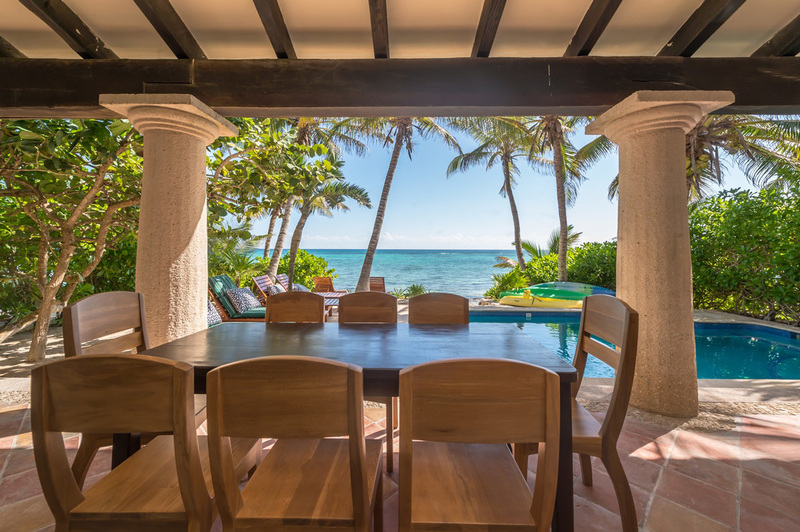 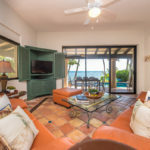 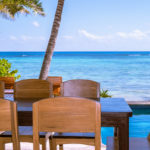 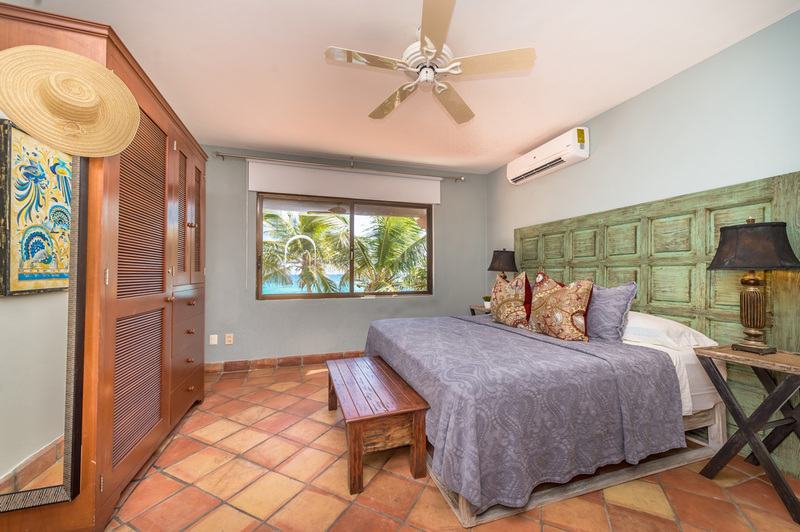 Villa San Francisco is totally equipped for your next vacation on South Akumal beach, with air-conditioning, four bedrooms, an additional available guest room, and seaside swimming pool, you couldn’t ask for much more…but then, there are the spectacular views! 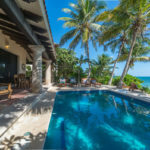 Now the package is complete! 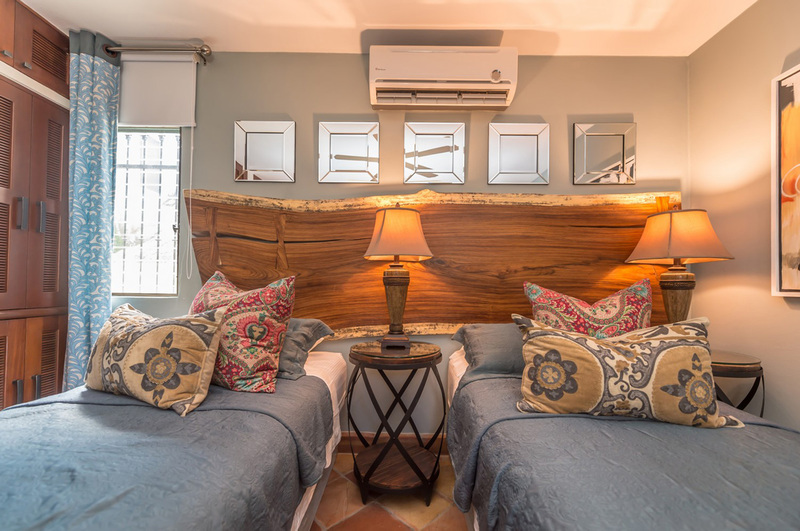 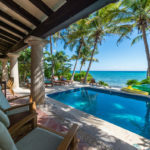 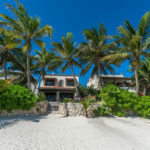 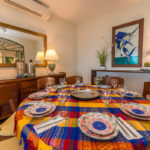 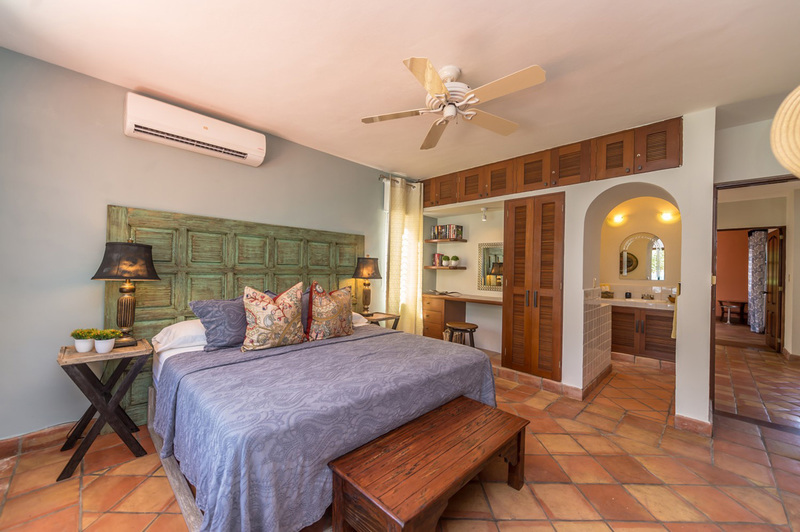 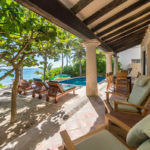 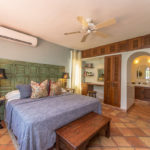 Villa San Francisco is a tastefully decorated, “Hacienda” style villa, with lots of bamboo, rattan and wicker furniture, its very tropical and a perfect complement to the Caribbean setting. 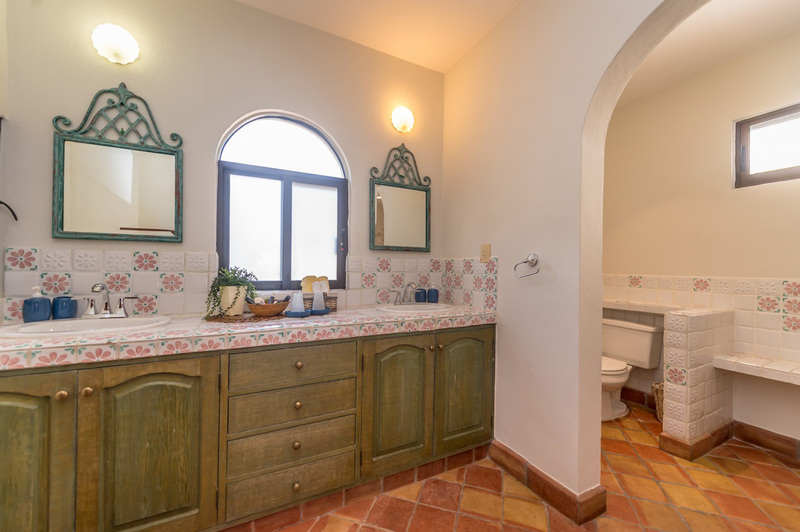 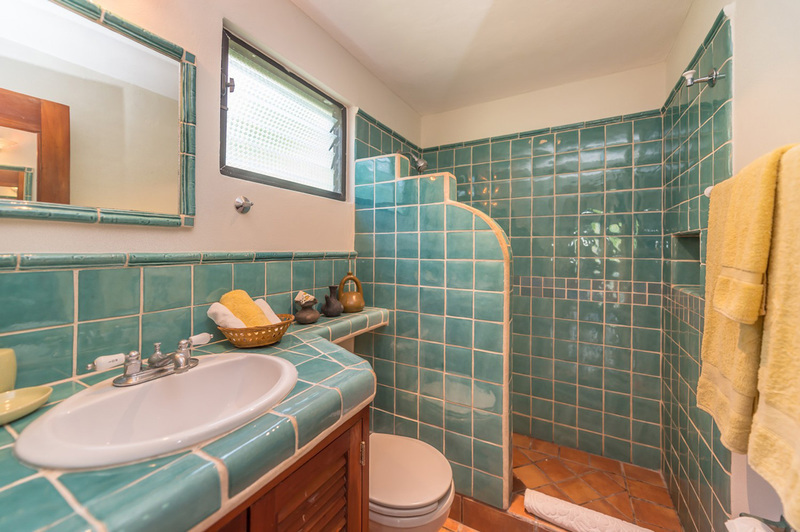 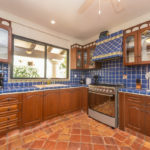 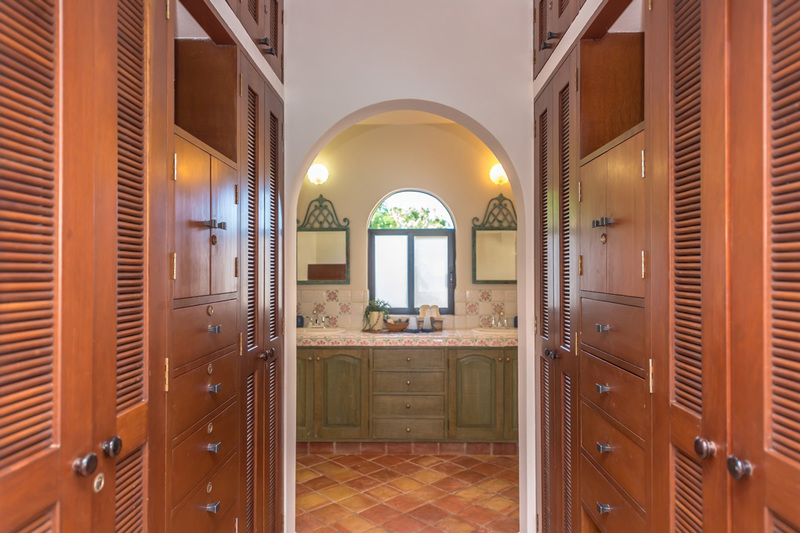 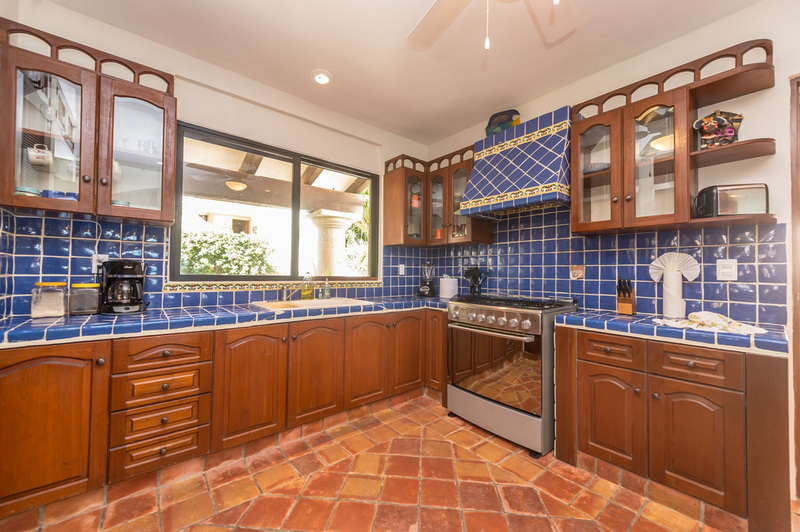 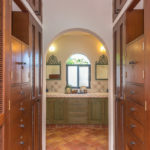 The solid mahogany cabinetry is gorgeous, set off smartly by a Mexican terra cotta tile floor. 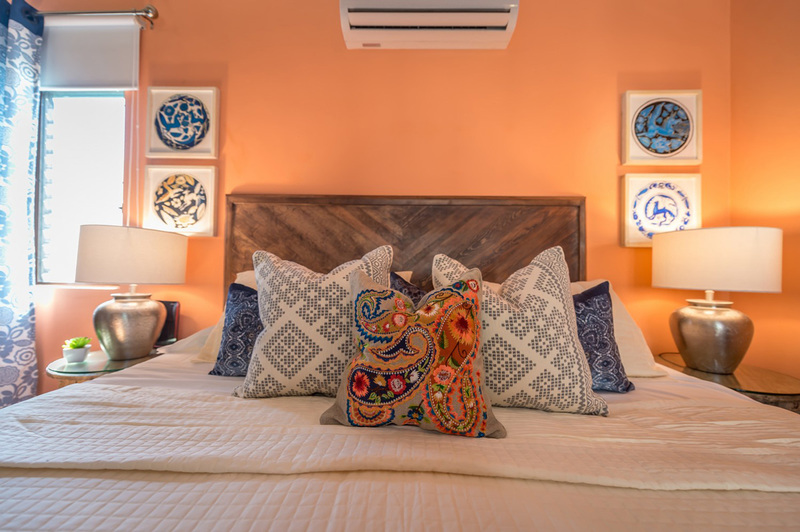 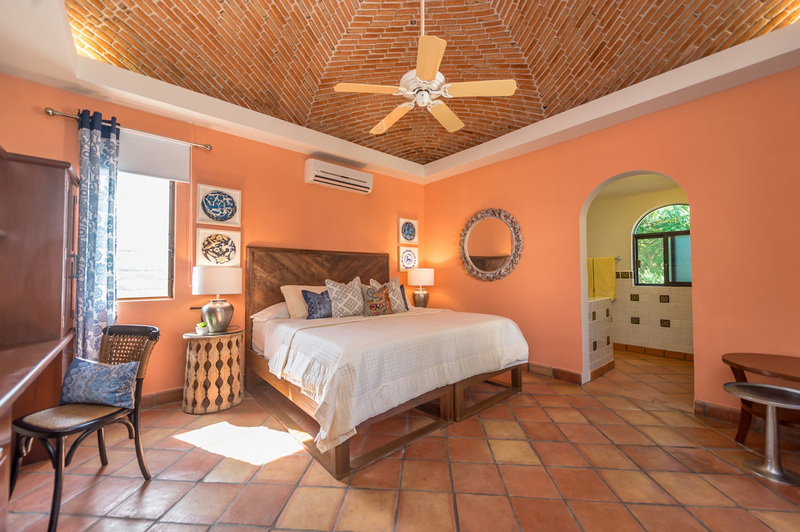 The villa is full of colorful tropical art and personal touches that really give it a home-away-from-home feel. 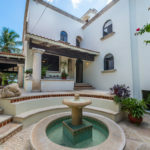 Arriving at Villa San Francisco, the private parking area opens to a lovely garden side courtyard with a soothing water fountain, adjacent to the front door. 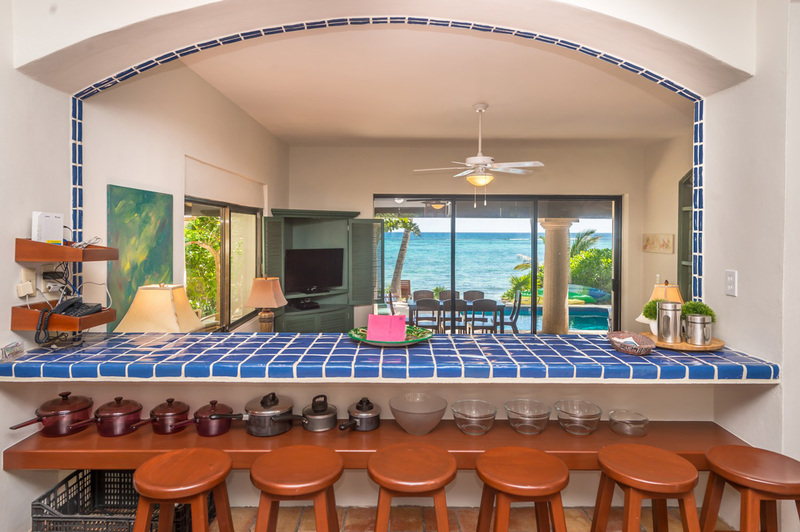 The first floor has a fully equipped kitchen with a breakfast/snack bar looking out over the dining room and then the living room is to the right, with glass sliders leading to the seaside patio. 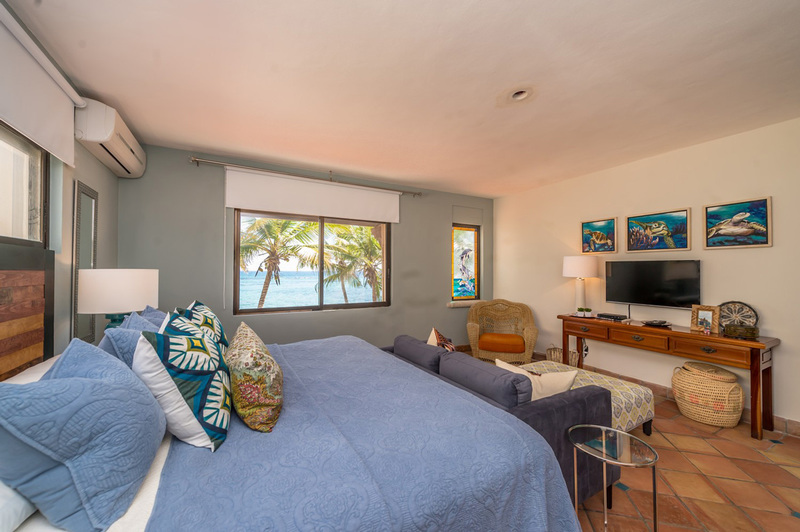 Upstairs, the ocean view master bedroom has a king size bed and private en-suite bath. 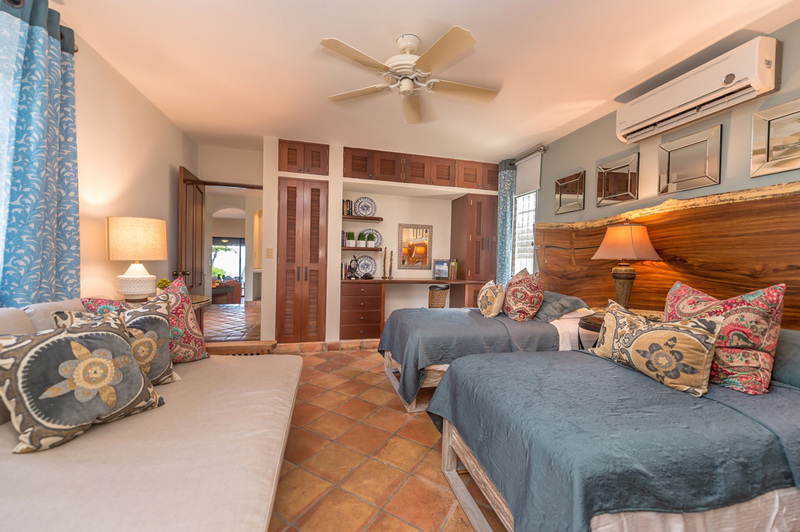 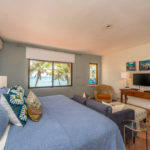 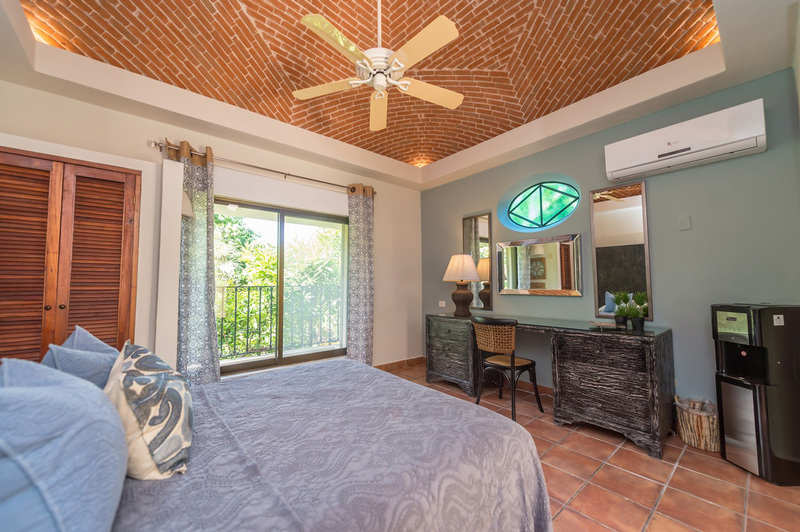 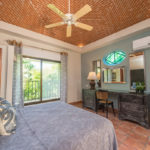 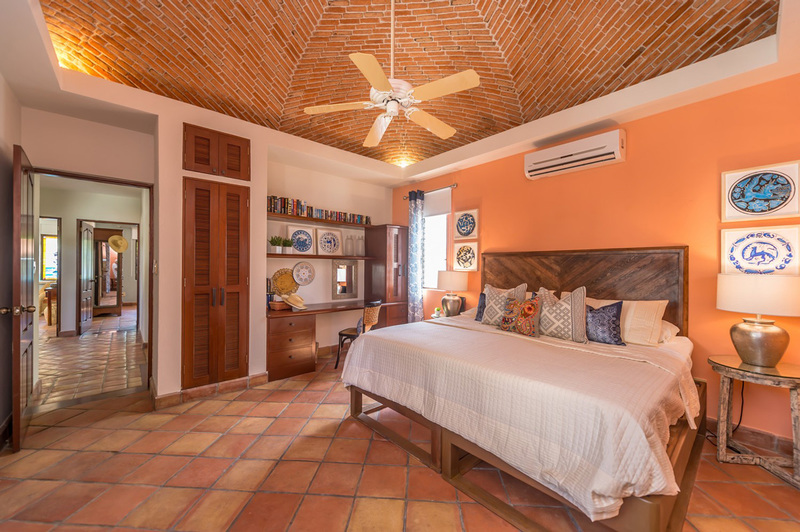 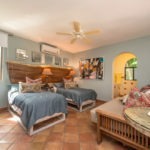 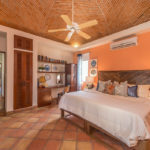 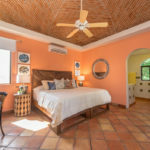 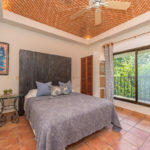 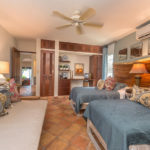 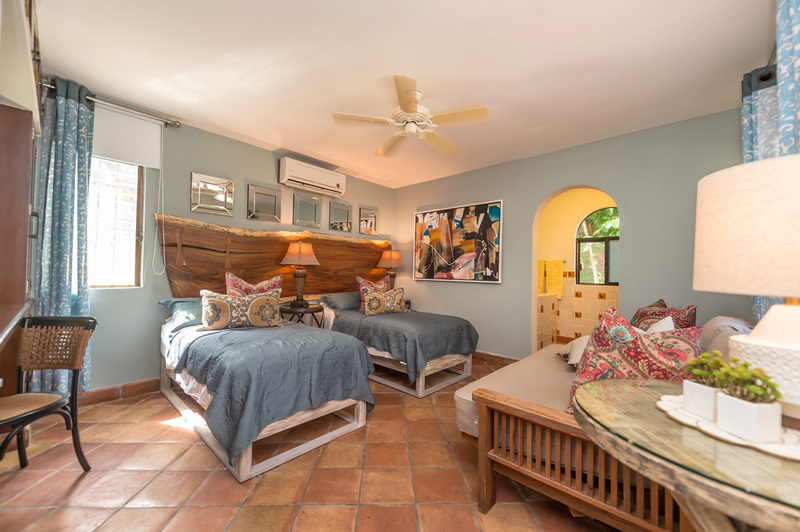 There are two more ocean view bedrooms, one with a king bed and private bath, the other with a queen bed, private bath and a beautiful, bricked, dome ceiling. 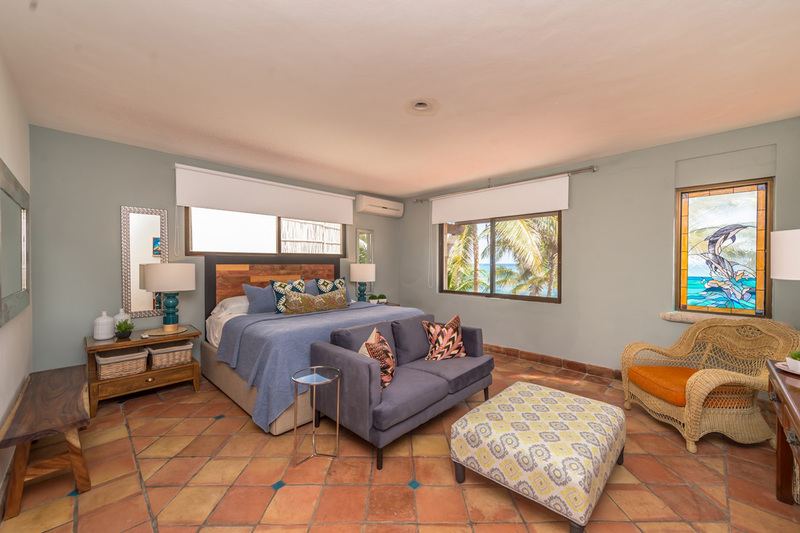 The main level, fourth bedroom is garden view with a balcony, two single beds and double futon. 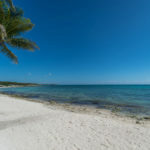 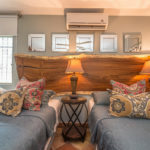 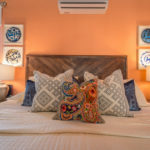 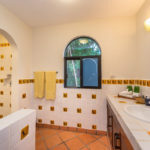 All of the bedrooms have private, en-suite bathrooms with a shower, and, there is an additional, full guest bathroom – complete with shower, on the main level. 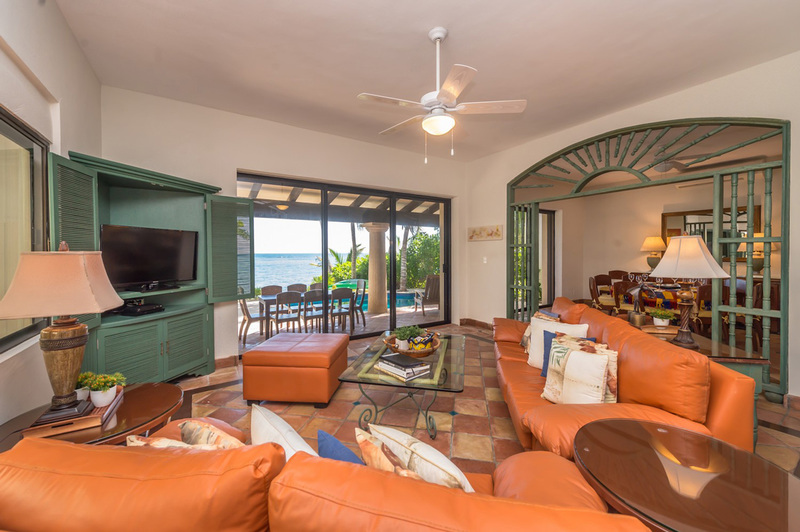 For indoor entertainment, satellite TV, CD player, stereo, music CD’s and a collection of books are provided. 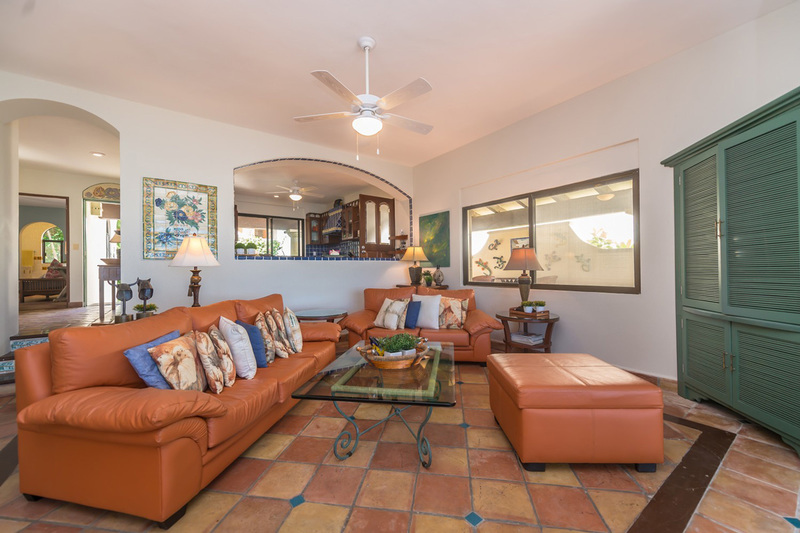 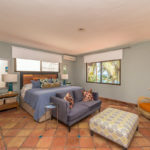 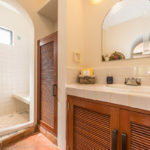 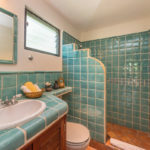 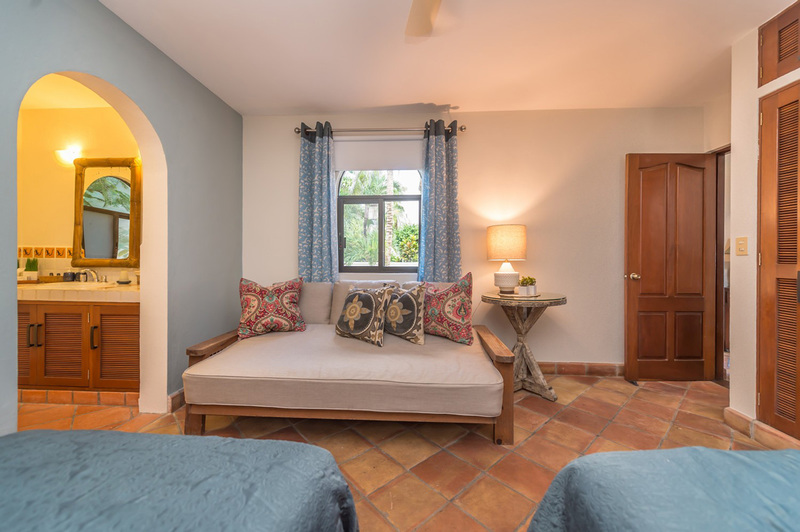 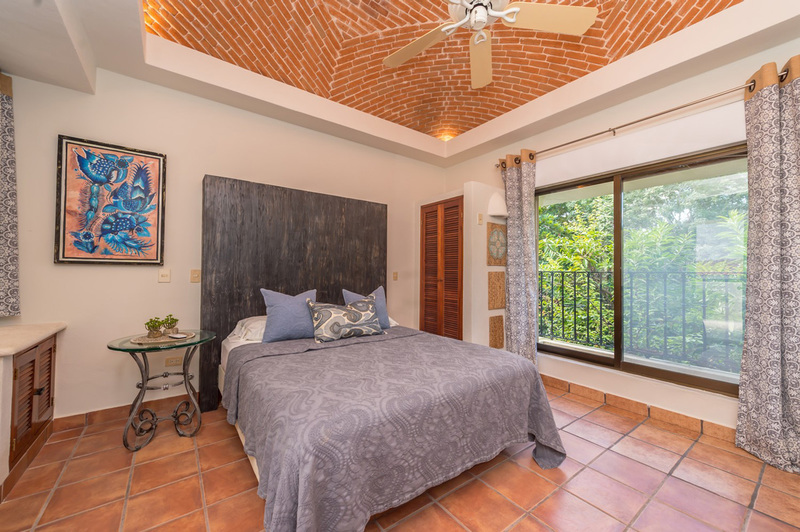 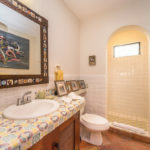 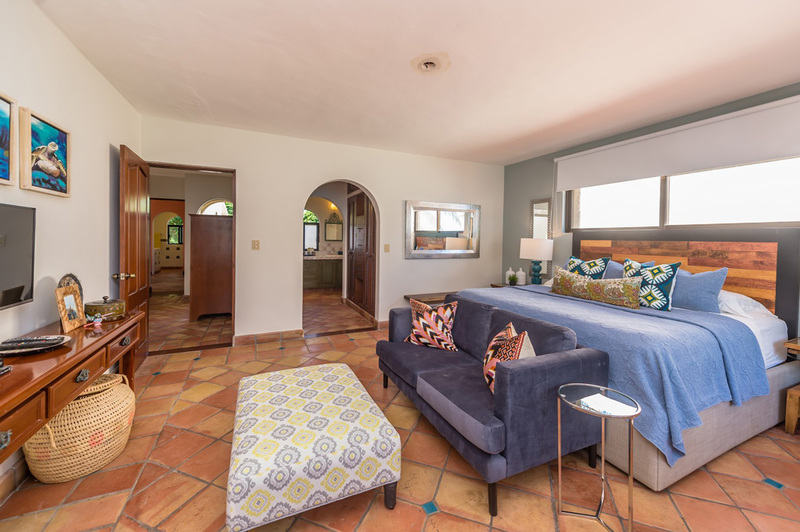 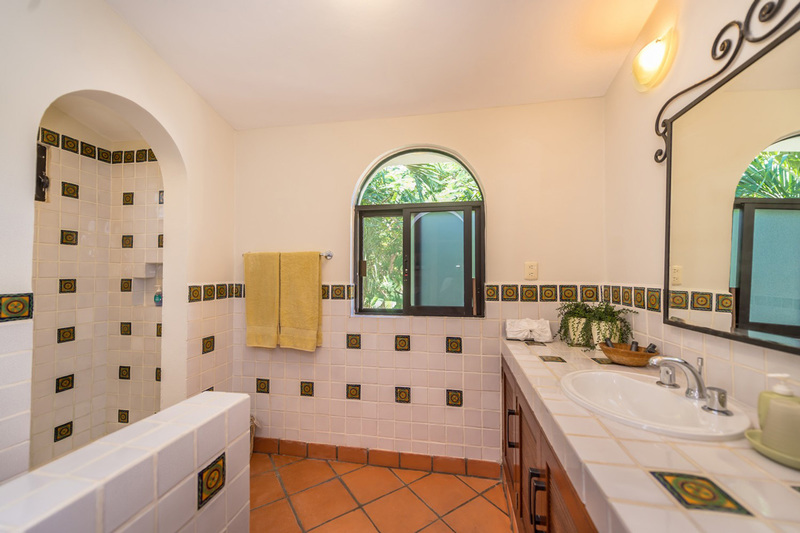 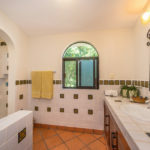 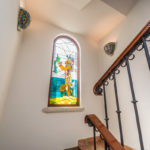 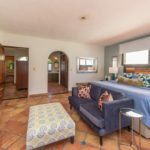 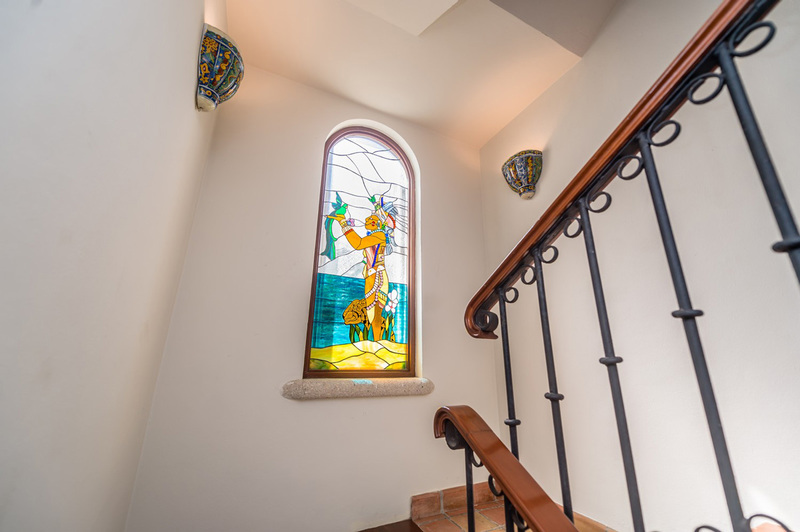 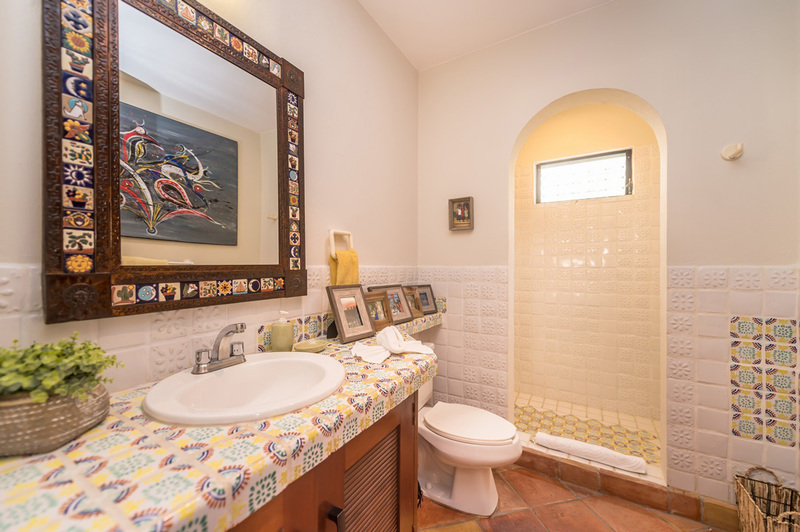 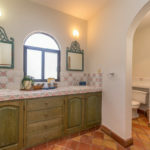 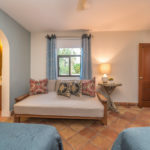 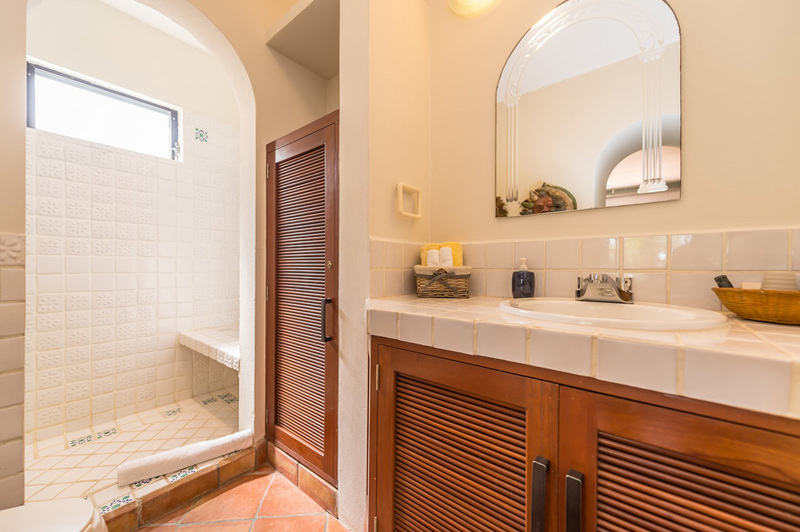 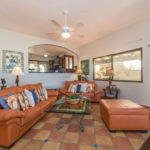 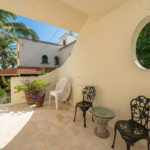 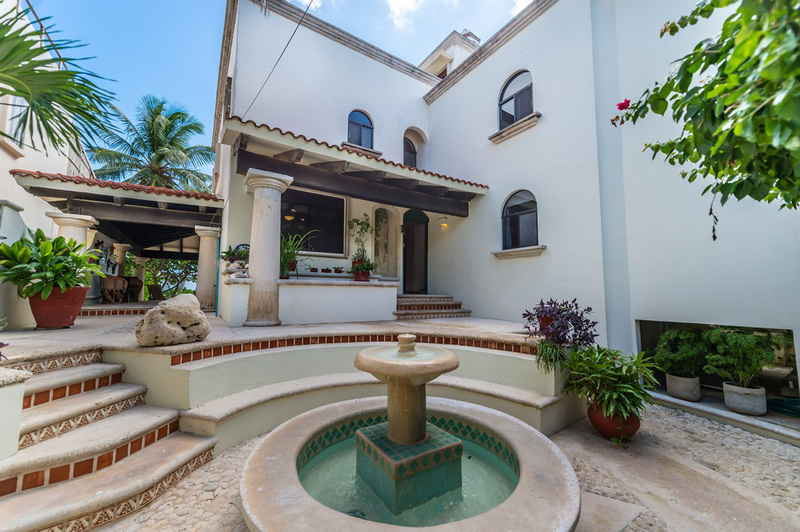 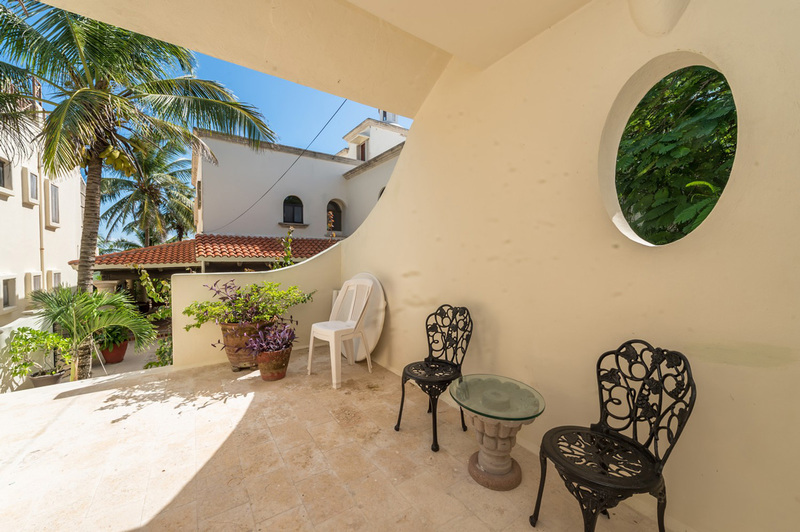 If more space is needed, there is also a second level, casita/guestroom that can be rented as well; it has a private entry via the stairway by the fountain courtyard in front. 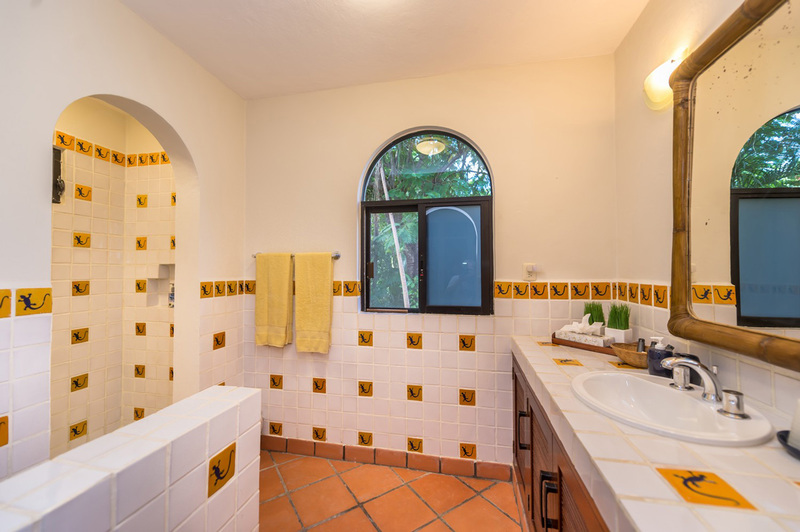 There is a queen size bed, private bathroom, TV, DVD/VCR, and a small selection of movies. 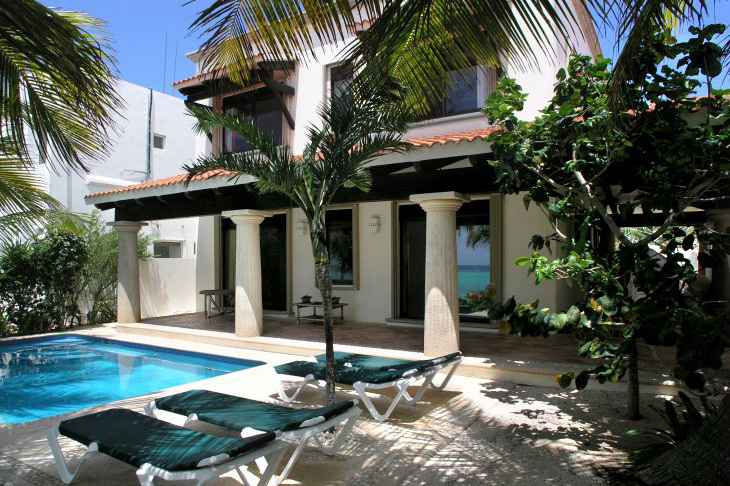 The swimming pool has a nice and smooth limestone deck with chaise lounges, which can easily be placed in full sun or shade, however you prefer. 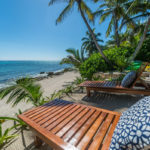 Just beyond the pool, the coconut palms provide a convenient place to tie up your hammock by the sandy tanning area and then, just a few steps further down, lands you on what you came all this way for, the grand finale, that exceptionally stunning, gorgeous beach! 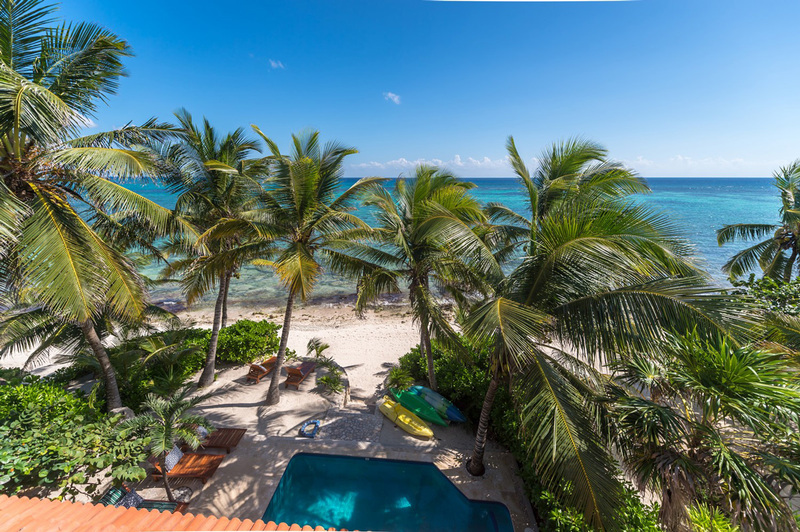 With the pool, the palms and this incredible beach, your stresses and worries just fade away! 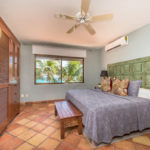 Rates are in USD, per week, for up to 11 Guests. 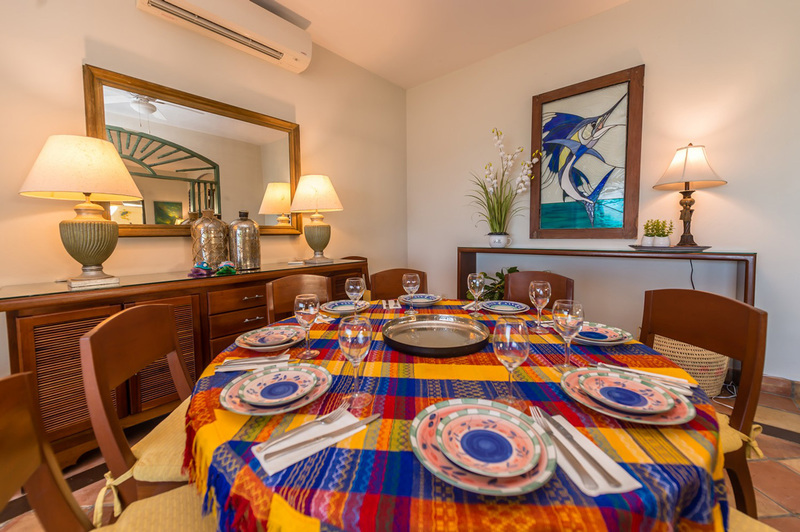 Max Occupancy: 11 Guests (9 in main house and 2 in guesthouse).